Your honest, anonymous feedback will shape the futures of the next generation of students, helping them decide where and what to study, and give the University and Students’ Union the information we need to make meaningful changes to the student experience. 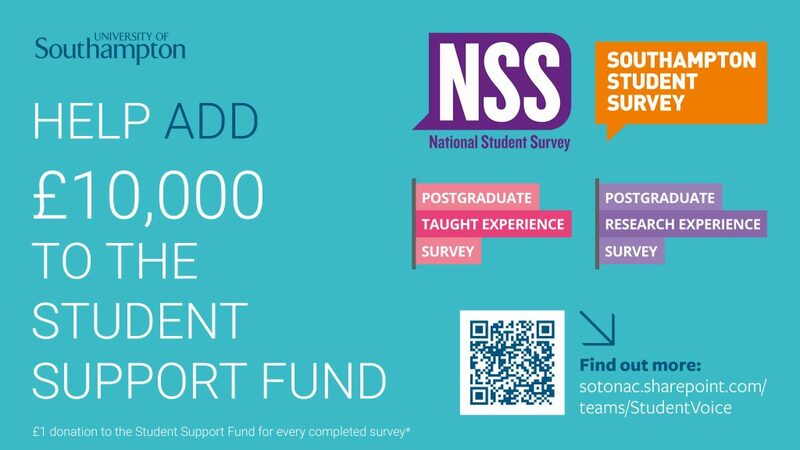 A £1 donation will be made to the Student Support Fund for every completed NSS survey. Not a final year? There’s still a survey for you! Use the power of your student voice to make change! 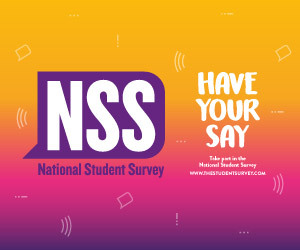 Undergraduates in your first or second year, you can complete the Southampton Student Survey. There’s also the Postgraduate Taught Experience Survey, and the Postgraduate Research Experience Survey.